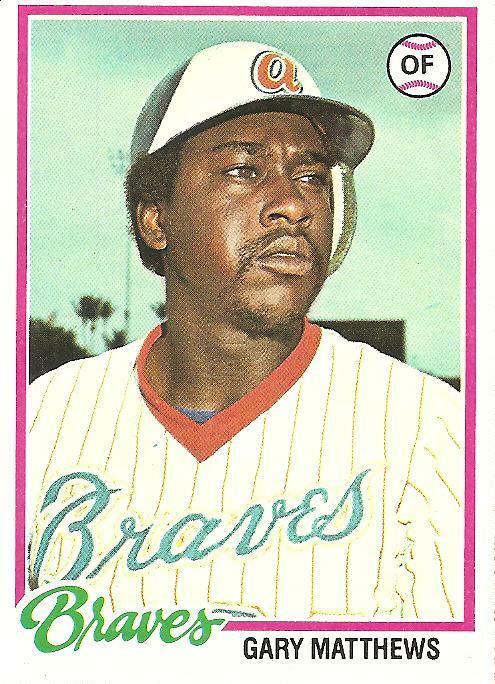 Bill James once referred to Gary Matthews as a “Name Brand Ballplayer”. You know what you’re getting before the season starts. That sounds like a pretty good thing to be known as, as long as you’re good. Sarge has a brother, if memory serves, who’s an outfield cameraman for the Braves’ network. I say that for no other reason than to let you know I’m a baseball nerd.